Last week I discussed the importance of being informed on what loan programs there are available when shopping for a home loan. This is so that you can be best aligned with the right program for your circumstances. This week I am going to continue that discussion and talk about a few non-conventional programs. Below are just some of the non-conventional programs that are available to consumers. Federal Housing Administration (FHA): FHA is a division of the Housing and Urban Development (HUD). 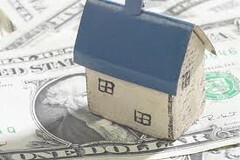 Lenders originate FHA loans and these loans are insured by the government. Anyone in the United States is eligible to apply, but cannot have had previously defaulted on a government loan. The advantage is there is only a 3.5% down payment requirement, allowing up to a 96.5% loan-to-value (LTV) ratio. This is as long as the FICO score is greater than or equal to 580. Keep in mind, anytime there is less than an 80% equity position on the home, there is a mortgage insurance premium (MIP) required. Important to note, unlike a conventional loan product that only has a monthly PMI, FHA loans have both a monthly and an upfront MIP. Moreover, as of June 1st 2013, this MIP can now never be canceled and is required for the life of the loan. This results in FHA loans to be very expensive if kept for the entire term. However, for people that don’t make a lot in income, or has a lot of debts, this loan becomes appealing due to the fact that the debt-to-income (DTI) ratio is allowed to go up to 55%. Veterans Affairs (VA): Lenders originate VA loans, and these loans are guaranteed for veterans by the government. Although they don’t have a mortgage insurance premium (MIP), they instead charge what is called a funding fee. The rates on the funding fees are 2.15% for first time use active duty (2.40% for first time use reserve or guard), and 3.30% subsequent use any duty. Once paid, a funding fee can never be refunded; however, it can be financed and not counted in the loan-to-value (LTV) of up to 100%. Furthermore, the debt-to-income (DTI) ratio is allowed up to 55%. Important to note, if on active duty, you can not be foreclosed on. United States Department of Agriculture (USDA)/Rural Housing Service (RHS): Lenders originate RHS loans for owner occupied properties only. These loans are for rural households where populations are 10,000 people or less with low to median income. These are not farm loans and carry a guarantee fee of 2%. This guarantee fee can be financed on top of the allowed 100% loan-to-value (LTV) ratio; making it a maximum of 102%. The only product is a 30 year fixed rate and the debt-to-income (DTI) ratio is allowed up to 55%. Contract for Deed: This is also referred to as a land contract. It is suitable for a buyer who cannot secure bank financing. The seller contracts the property to them in the form of a lease. When the terms of the lease are met, the ownership is transferred (conveyed) to the original leasee (tenant). It can be viewed as a lease purchase and is conceptually like a rent-to-own for a house. Posted on July 29, 2013, in Finance and tagged Bonita Springs Loan Officer, Cape Coral Loan Officer, Contract for Deed, DTI, Estero Loan Officer, Federal Housing Administration, FHA, FICO, Finance Me, Florida Loan Officer, Fort Myers, Fort Myers Loan Officer, Government Sector, HUD, Lender, Licensed Loan Officer, Loan, LTV, Matt Pell, MIP, Mortgage, Mortgage Warehouse, Non-Conventional Programs, PMI, Property Guiding, Real Estate Financing, RHS, Rural Housing, SWFL Real Estate, United States Department of Agriculture, USDA, VA, Verterans Affairs. Bookmark the permalink. Leave a comment.